iFonz v0.9.9 freeware for Windows Mobile Phone. 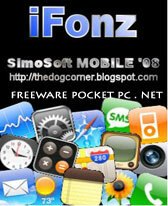 iFonz is an application to emulate the most popular iPhone on your Windows Mobile 5.0 / WM6 Pocket PC. It is a clone of iPhone interface, with a lots of customization and a fully graphical design and animations. - Extract CAB and install on Pocket PC. 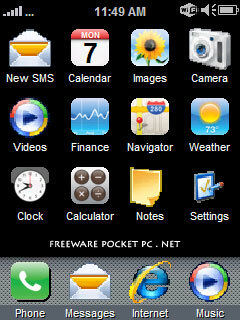 - Soft Reset Pocket PC. * If you use ILauncher consider to uninstall it for best use of iFonz. * If you want enter directly on the General Settings click on the link in Programs Folder "iFonz Settings". * To open General Settings Tap and Hold on background. * To open Icon Settings Tap and Hold on desired icon. * To enable/disable Windows Startup open General Settings and check/uncheck the option. * To save/load Themes and settings Tap and Hold on Battery and click on Themes->Load/Save and choose the file. * To minimize Tap and Hold on Battery in the main screen and click on minimize. 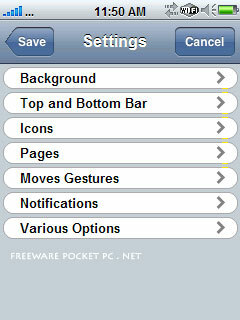 * To view all Pocket PC status info Tap and Hold on Battery in the main screen and go to Status menu. * To view AM/PM hour go to Regional Settings in your pocket pc and set correctly your Timezone and Time settings. 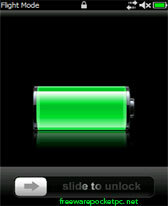 * To exit click on battery in the main screen. * To add shortcut to a folder in the command line use "\windows\fexplore.exe" and in the argument set the folder path. * To add shortcut to a midlet java in the command line use "[the path of your java manager]" and in the argument set the parameter of your java application (Es: Command: "\windows\jmm.exe" Arguments:"-r"Gmail","Google","Gmail"). * To add shortcut to an internet address write in command line the internet address. * To Copy/Swap an icon tap and hold on 1 icon and choose Copy/Swap and after tap and hold another icon and choose Paste here/Swap here. * If iFonz close when hit the "Red Button" after a call, assign a specific button of your PPC for restart it, set it in PPC settings. * If your Pocket PC is old or slow go to General Settings and disable all Special Effects and set Animation to "Nothing". * If you do a lot of changes in General Settings and iFonz become slow, restart it. * To go in debug mode create a file "Debuco" in the iFonz directory and use the program. In the folder I create a new text file called Logfile.txt with all operations and errors. 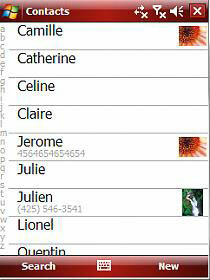 * For lock device and show a big image of caller whe you receive a call use S2U2 program (The best ever from A_C). how to download on that savefile.com?? I tried the rapidshare link they want me to pay for an account I really want this link someone HELP me!!!!!!!!!! I want to Install in my O2 Atom phone.How should I do ?